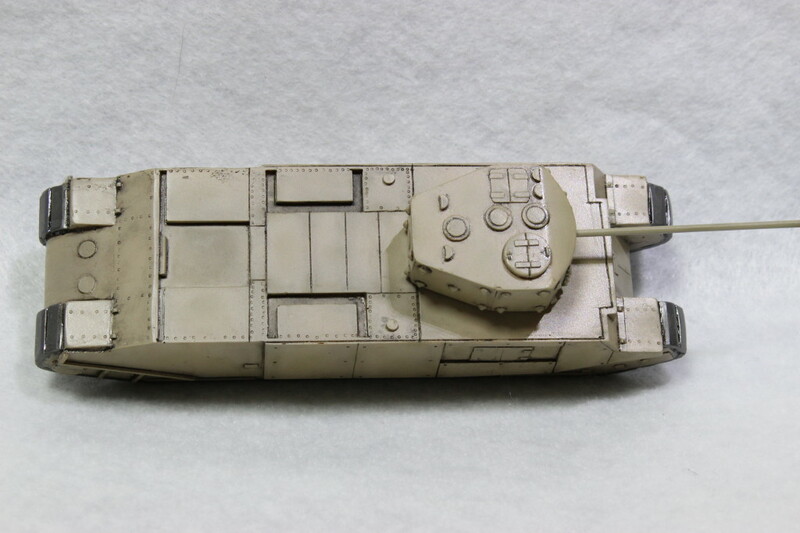 The author is the Japanese person who developed this model kit.I’m sorry, I do not have English is good at.This home page is basically a Japanese notation. 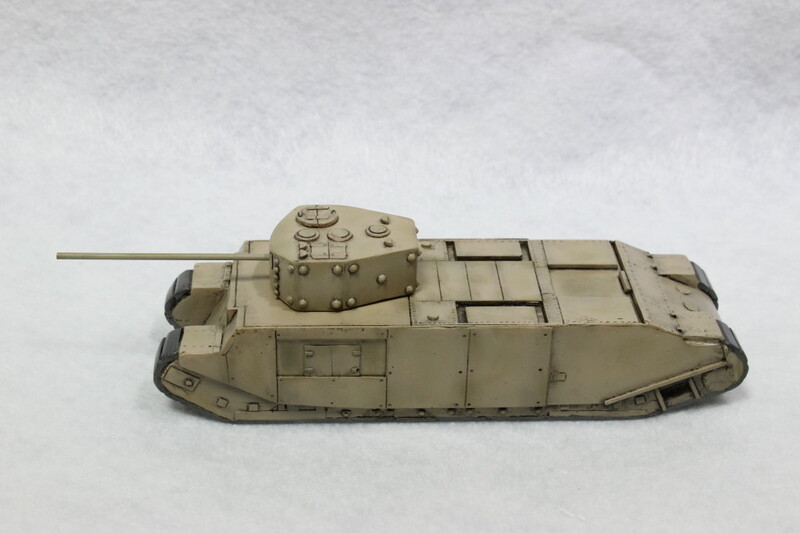 TOG2 is the tank of United kingdom.This tank has been prototype, but was not formally adopted.There are one tank in the museum. 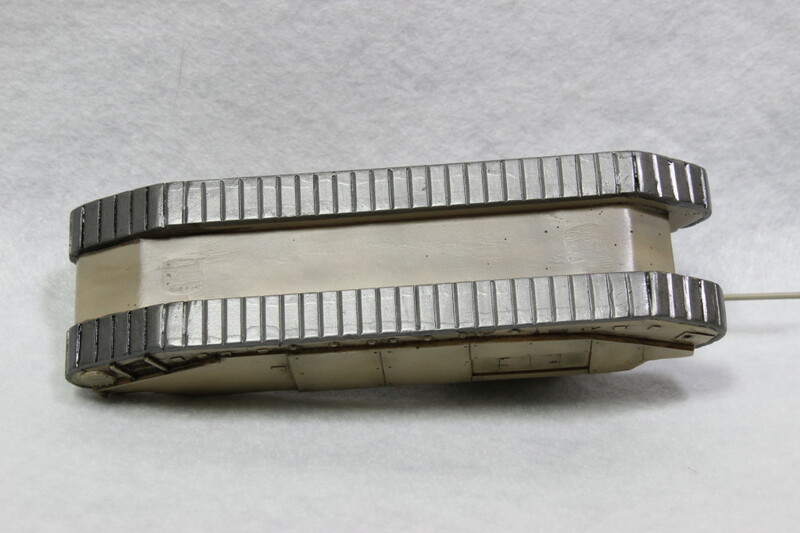 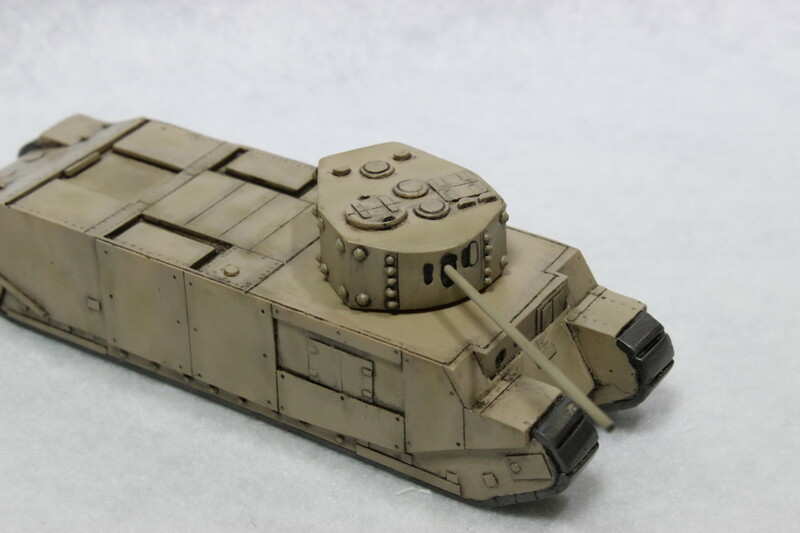 This tank became famous by the game “World of Tanks”.This tank is popular because of the appearance.When players see this tank,he cry “Looooooong!!!”. 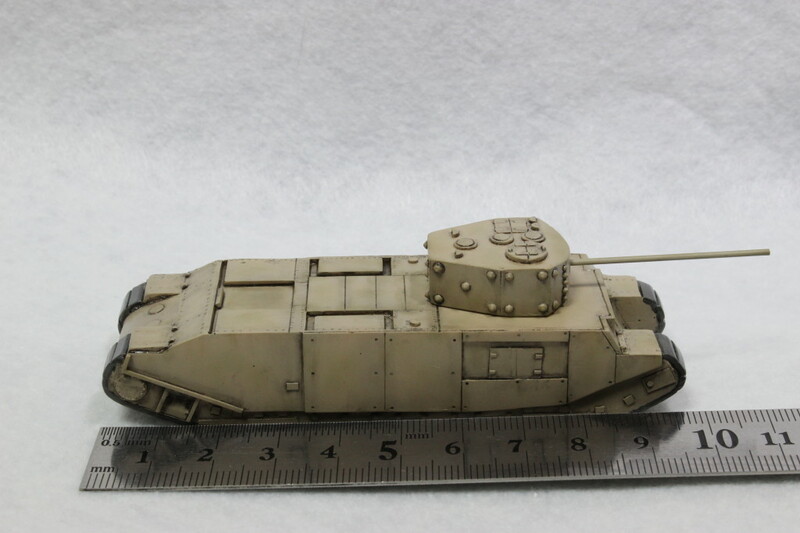 This product is not shipping overseas.It can be purchased at communication sale in Japan.Or,you can buy it on events in Japan.The name of the event is “Wonder Festival 2015 Summer”. 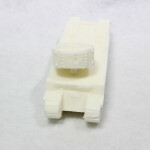 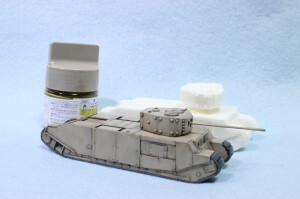 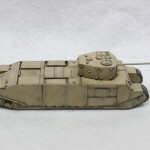 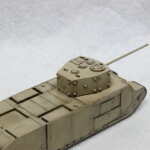 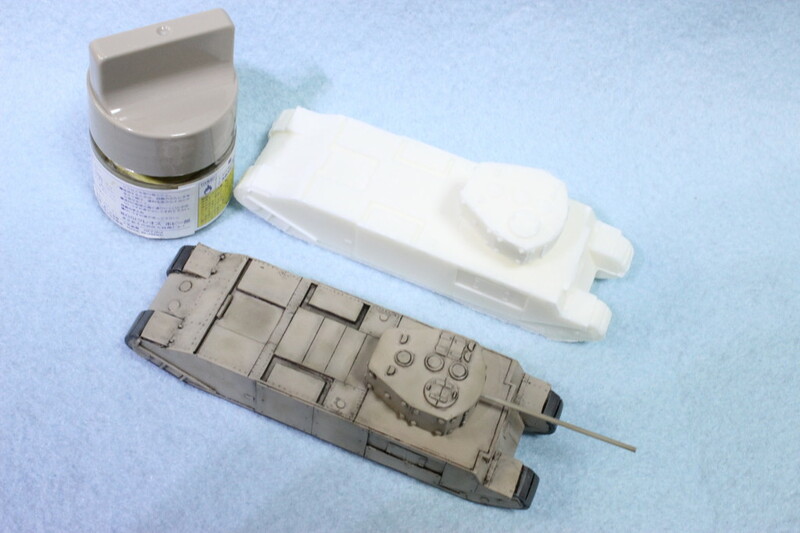 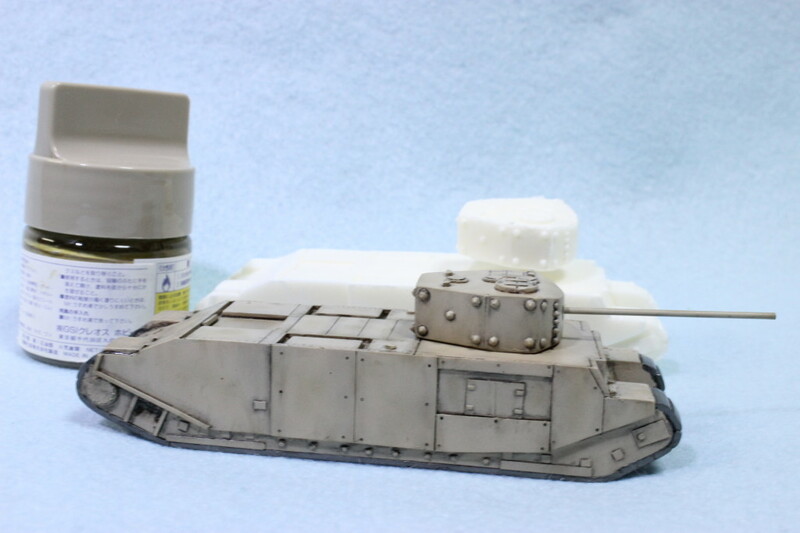 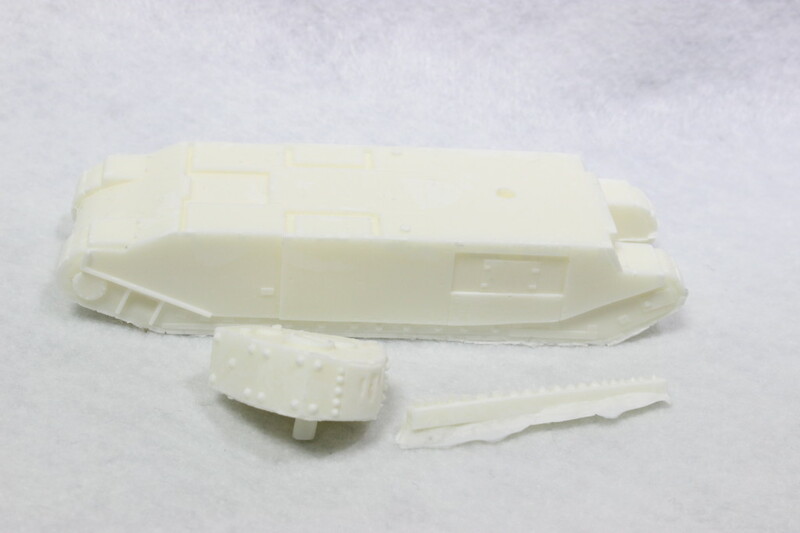 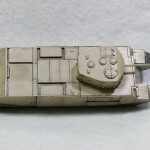 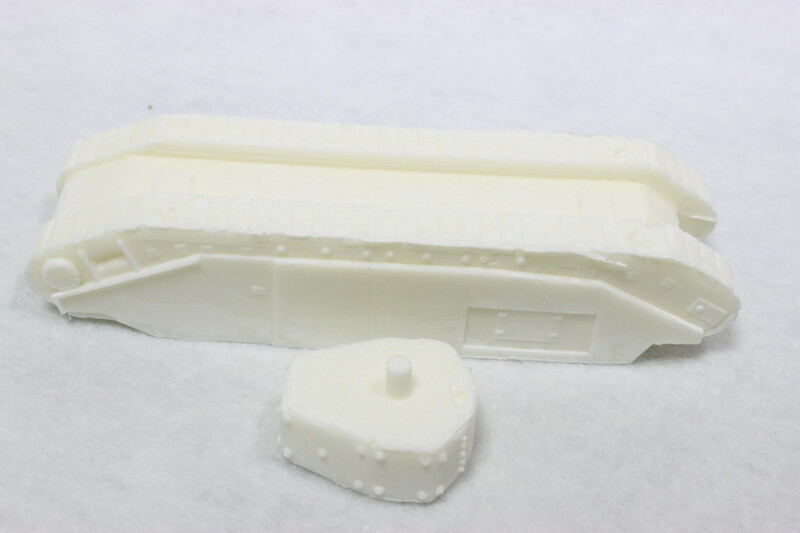 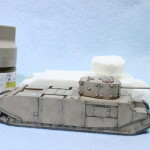 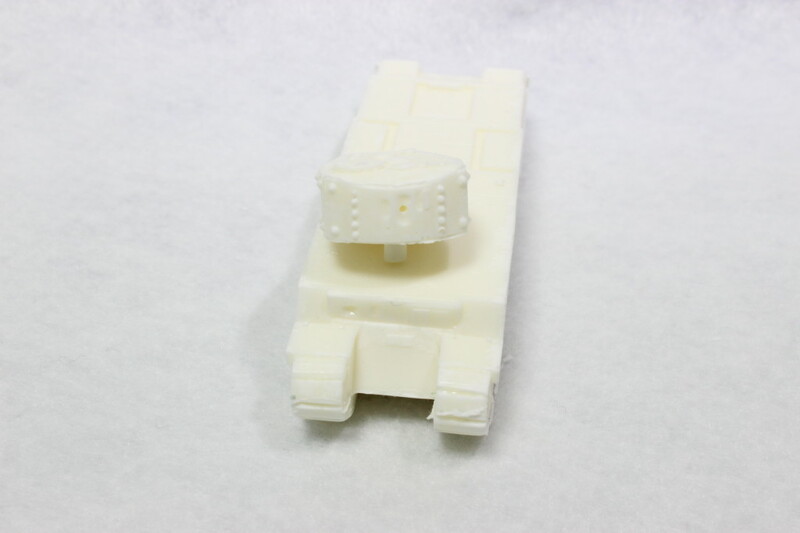 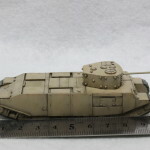 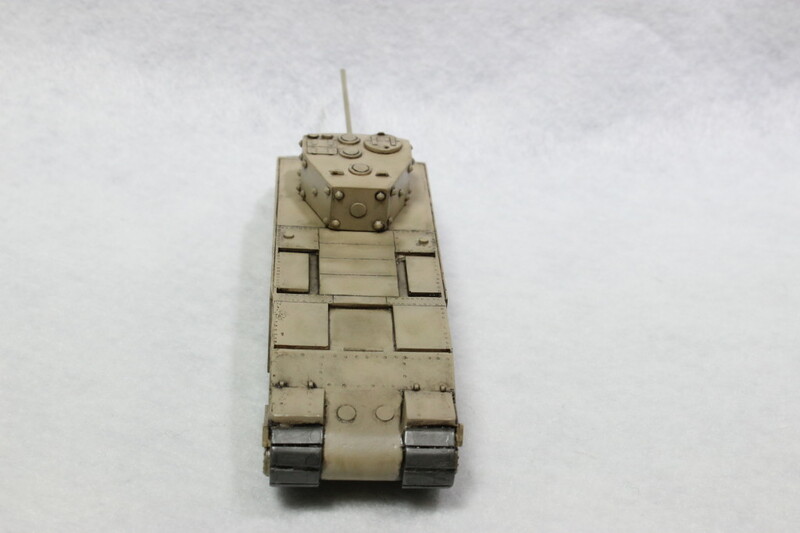 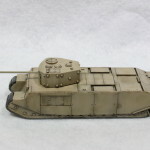 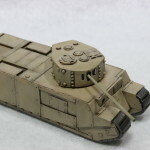 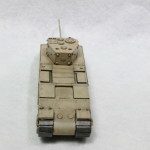 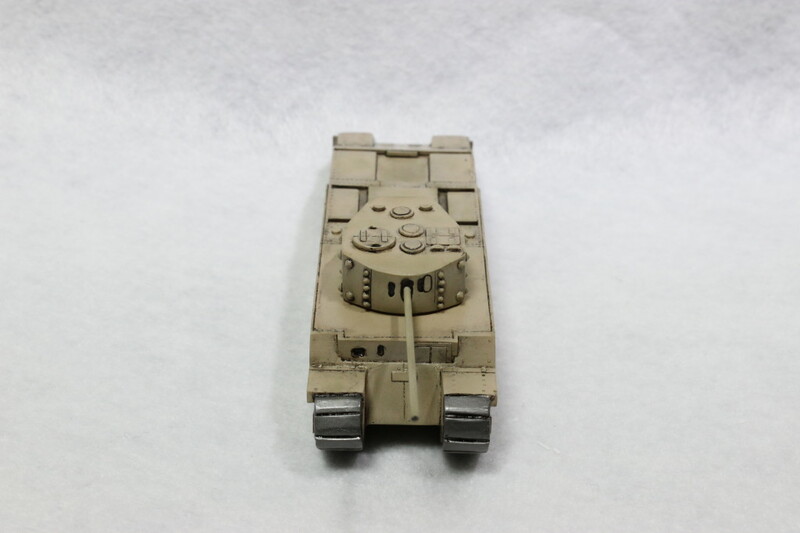 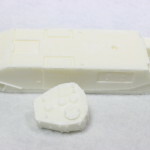 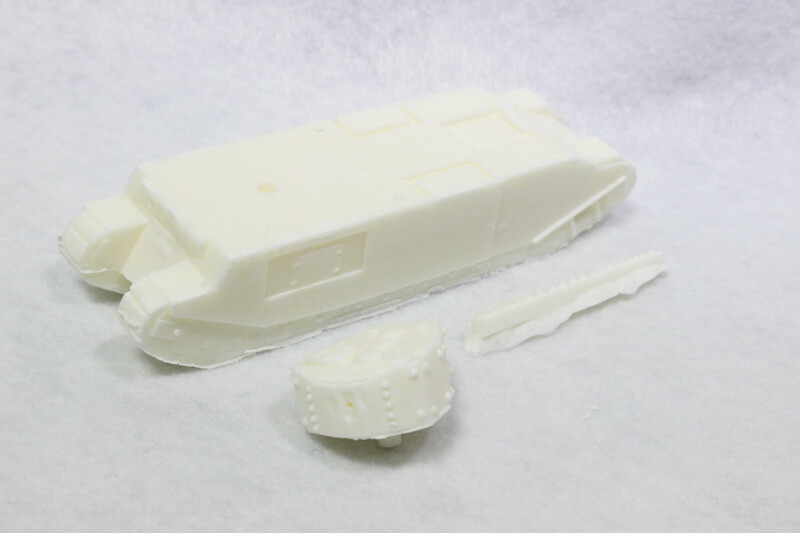 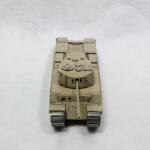 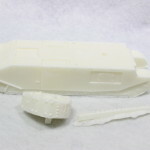 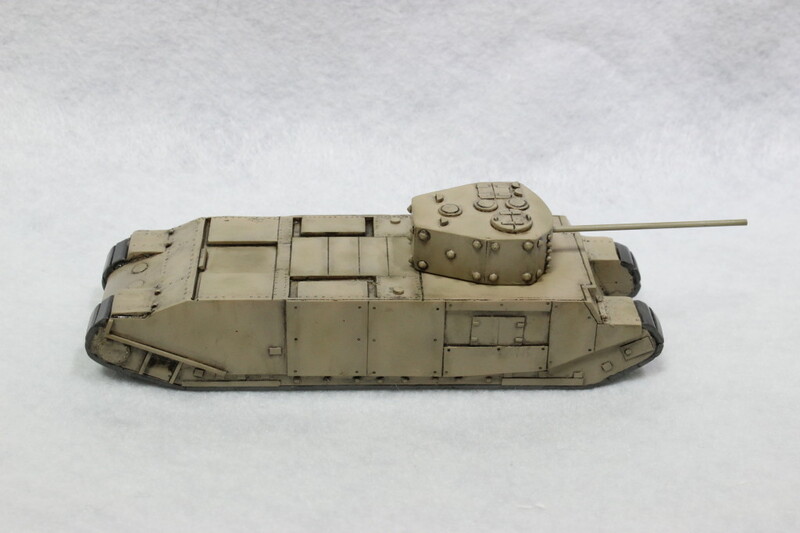 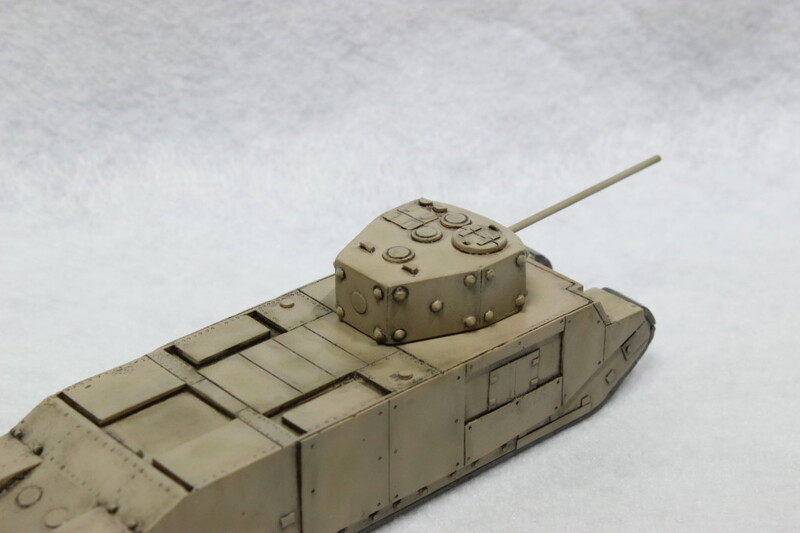 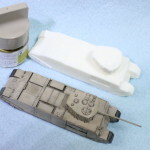 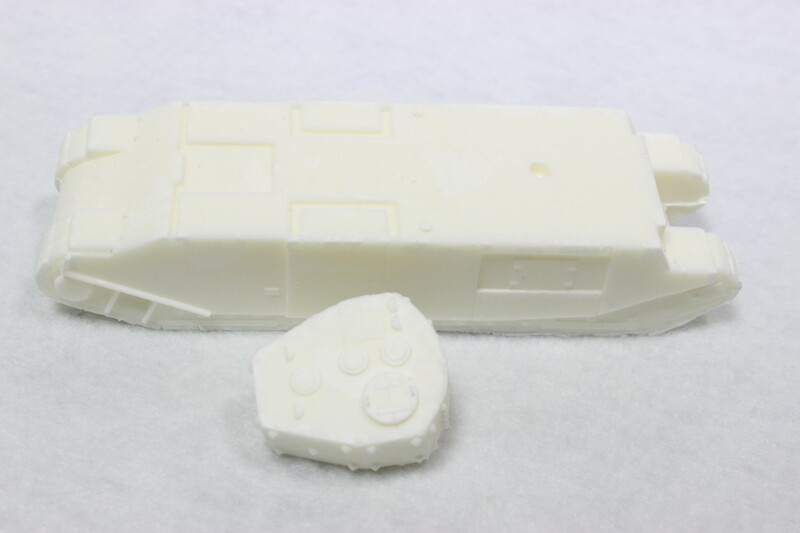 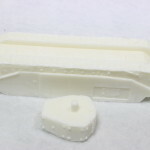 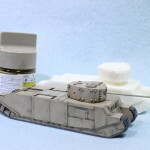 This is our original garage kit.This is not an exact reproduction of the model tanks, is the kit for you to enjoy the collection by the paint of your choice.I am making based on the basic of the game CG shape.You can assemble this easier. 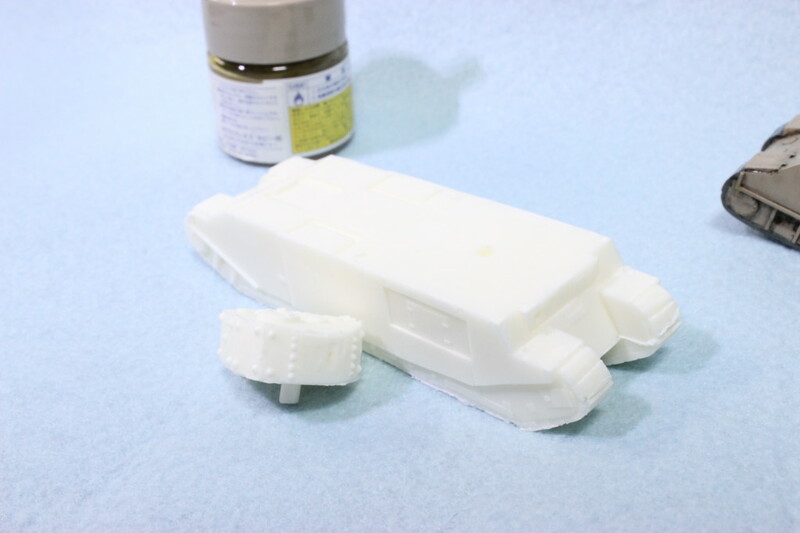 It is the thing which was assembled kit.I do not have any remodeling.Paint bottles are located in order to check the size.White parts of photos are unassembled parts of kit.